Who said casual weeknight-entertaining has to be boring? 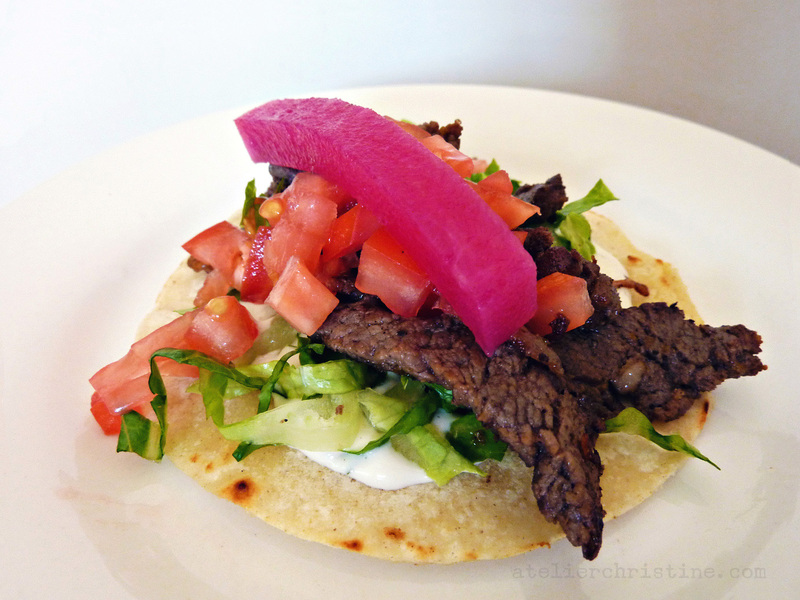 This simple yet wow-worthy recipe is sure to please your guests and get rave reviews. 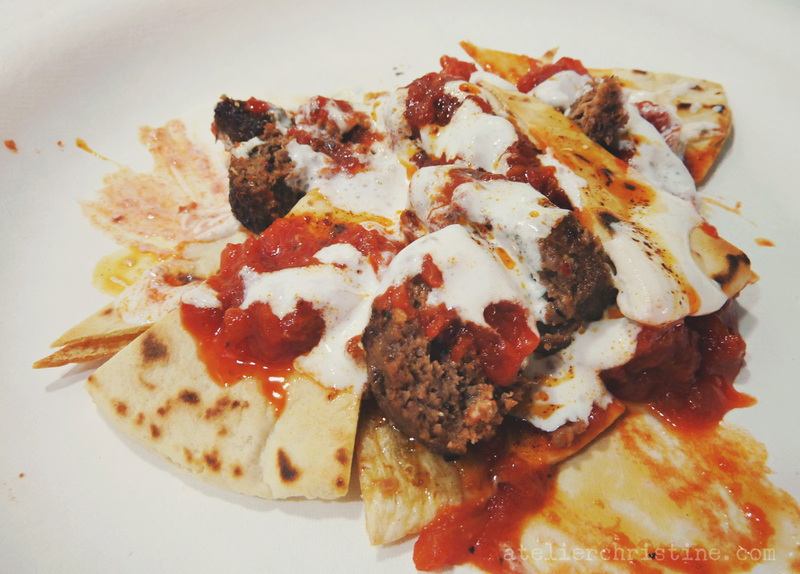 Grilled beef patties, kofte, are layered on lightly toasted pita bread and covered in tomato sauce, a garlicky yogurt sauce, chili oil and an array of optional garnishes.